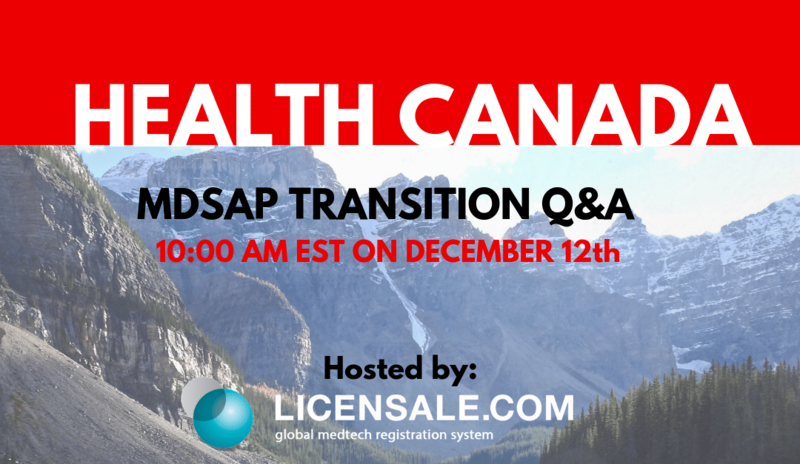 Arazy Group will host Health Canada in a conference call at 10AM EST on December 12, 2018 with medical device industry participants to answer individual questions and provide clarification and instructions for transitioning from CMDCAS to MDSAP. Each manufacturer faces individual unique challenges with the transition which may include costs, time, or AO (Auditing Organization) scheduling. Not all manufacturers will have MDSAP certification completed by the deadline December 31, 2018. During 2018, Health Canada has published instructions for providing “Transition Packages” in lieu of an MDSAP certificate for manufacturers that will not have MDSAP Certification completed by December 31, 2018. These packages include non-CMDCAS ISO 13485 certificates and Audit Date Confirmation Letters from a recognized AO documenting an audit date during 2019 as long as the non-CMDCAS ISO 13485 certificate does not expire before the audit date. Manufacturers that do not submit an MDSAP Certificate or “Transition Package” by December 31, 2018 will have their medical device licenses subject to suspension under section 40(1)(f) of the Medical Devices Regulations. As December 31, 2018 quickly approaches Arazy Group realizes that the options to submit an MDSAP Certificate or “Transition Package” by December 31 may not be feasible for all manufacturers. For varying reasons manufacturers may need customized solutions for their individual situations. For this reason, Health Canada has agreed to speak with individual manufactures to try and understand their unique situations and find tailored solutions to prevent manufacturers from being at risk of license suspensions.